APP Installation and Initial Setup. 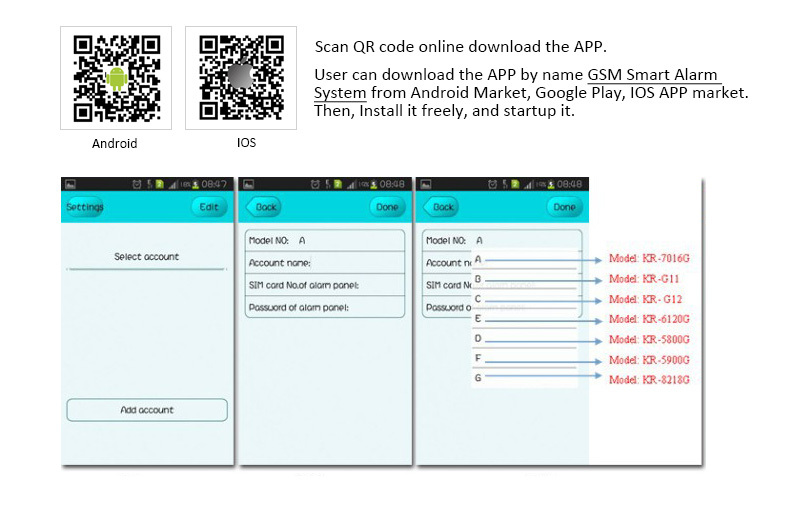 User can download the APP by name ‘GSM Smart Alarm System’ from Android Market, Google Play, IOS APP market. Then, Install it freely, and startup it. This APP support one different languages: English. Remote control for arming, disarming, monitoring and speaking, setting up for relay and siren. Wireless intelligent study coding, compatible with PT2262 normal encoding and 1527 encoding, Maximum support 150 remote control and 150 sensors. 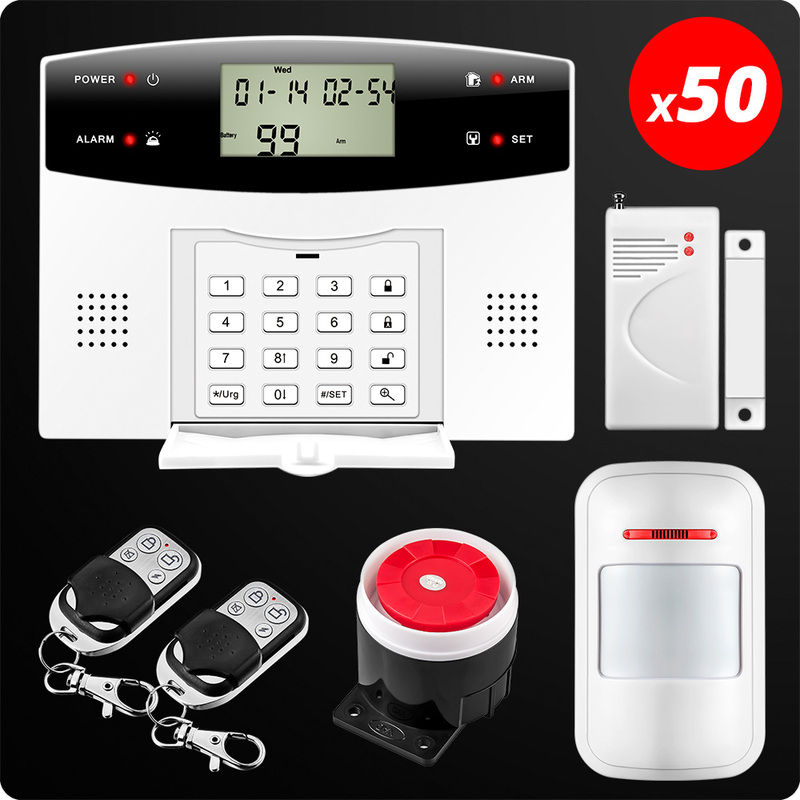 wired loud siren will sound and send SMS to the preset number/auto dial the mobile. 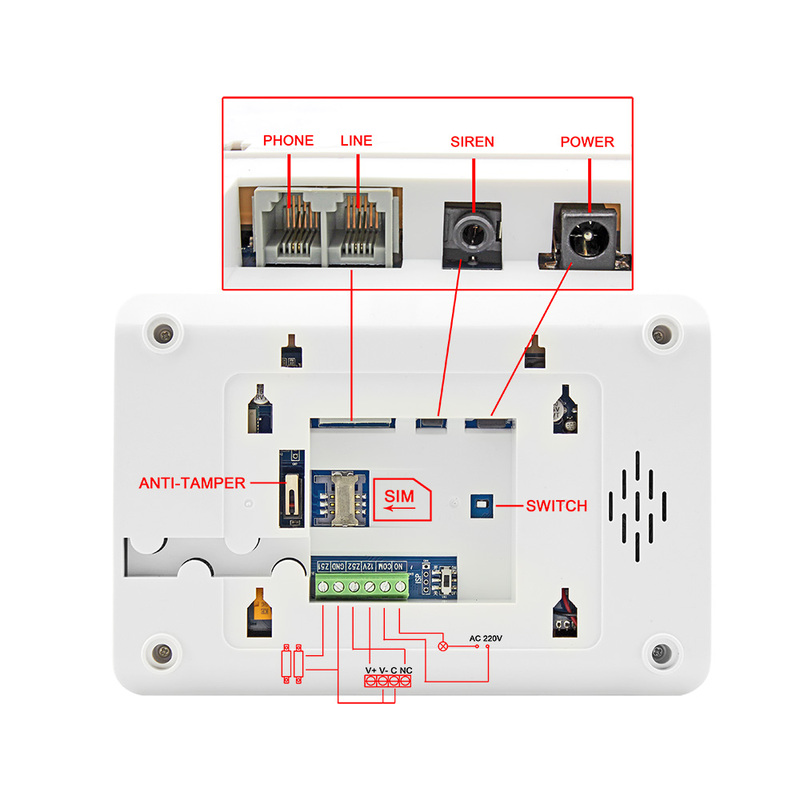 gas detector,water leak detecto,pet-immunity sensor,IR beams etc.